It’s common knowledge that exercise is good for us, yet most Americans still struggle to get off the couch and get moving. In fact, the Centers for Disease Control recommends that all adults exercise for at least 150 minutes each week, but fewer than half of us do. Of course, many people feel bad about this fact, which is why now is one of the most popular times of year to start thinking about getting a gym membership! Whether your goals are to get stronger, to lose weight, or just to start feeling better about yourself, you are not alone. Many people make New Year’s resolutions to join a gym and work on improving their bodies. 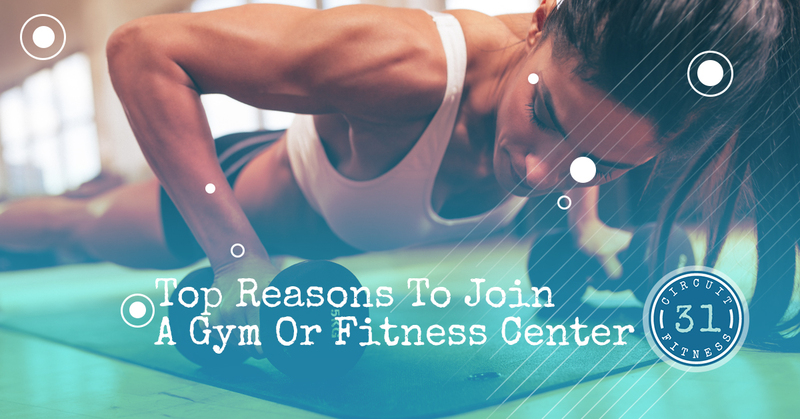 Here are some of the top reasons you might want to consider investing in a gym membership to a fitness center near you! The most obvious reason to join a gym is to improve your health! Gyms encourage a healthy balance between cardiovascular activity and strength training to increase your muscle mass and aid your body’s ability to more easily lose weight. These activities combined promote heart health and weight loss! They can also work to improve your overall balance, flexibility, and strength. Working out is good for your entire body, and it can improve your mood too! While you may feel some motivation from time to time at home to hop up and go for a run, nothing can motivate you quite like going to the gym can. Some people get a natural thrill from working out, but for others, it can be a real chore. If you find that you struggle to find the motivation to work out, going to the gym might be the boost of inspiration you need. You can turn your gym sessions into a routine and rely on habit, or perhaps you’ll even make friends when you go! The good news about fitness centers like Circuit 31 Fitness is we offer 31-minute workouts, so you never have to worry about setting aside hours on end to get a good workout. Just about any source of exercise can act as a stress reliever, as exercise releases endorphins in our brains. This makes us feel better emotionally, as well as have a better outlook on the world. You’ll find that exercising can help you reduce tension and even improve the quality of your sleep! If you need to just unwind and forget the stresses of the day, getting in a full-body workout may be just what you need. Let the gym become your sanctuary. We don’t mind! Have you ever gone to a gym and wondered how to work a certain machine? Just about everyone has at some point in their lives. However, you can learn from the employees of your chosen fitness center how to use each machine or how to perform a specific exercise properly. They have been trained to help you and teach you the basics! No one wants to get injured, so take advantage of the resources you have available. Some people find working out to be much more enjoyable when they do it with their friends. You can take classes together, or you can simply chat while working through your repetitions. Wherever you choose to go, you’ll be surrounded by fitness enthusiasts who are hoping to get a great workout—just like you are. For those of you who are not shy, the gym is an awesome place to meet new people. While it may sound dramatic to say that working out can change your life, this is no joke. With the changes that come to your body, as well as the mood-lifting most fitness enthusiasts feel after a good workout, you might find that you have an extra pep in your step when you think about taking on the week. We look forward to helping you achieve that positive outlook and that stronger body! At Circuit 31 Fitness, we know how important getting a good workout is—but we also know how busy people like you are. That’s why we designed a 31-minute workout. You will be in and out of our Allen fitness center before you know it, ready to get back to your day. Contact us today to learn more about our program!